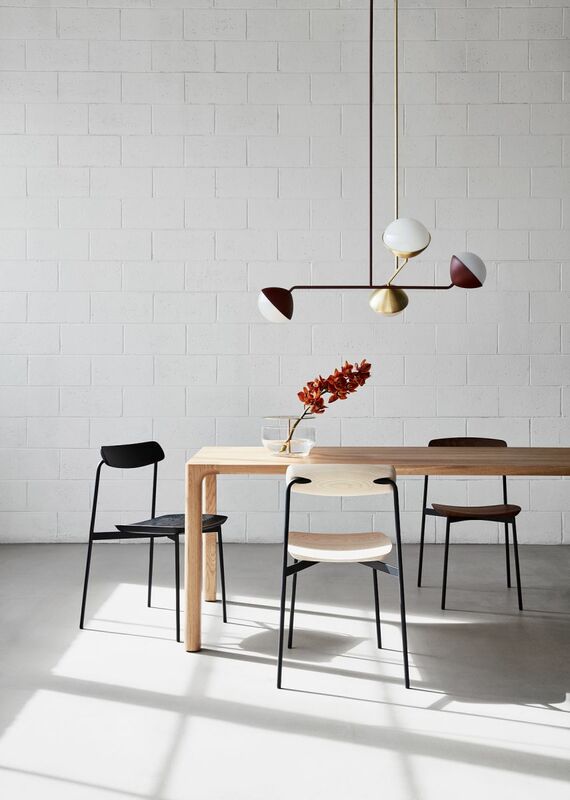 Founder of furniture and lighting studio Coco Flip, Kate Stokes has recently teamed up with Cult for its Australian design brand Nau. 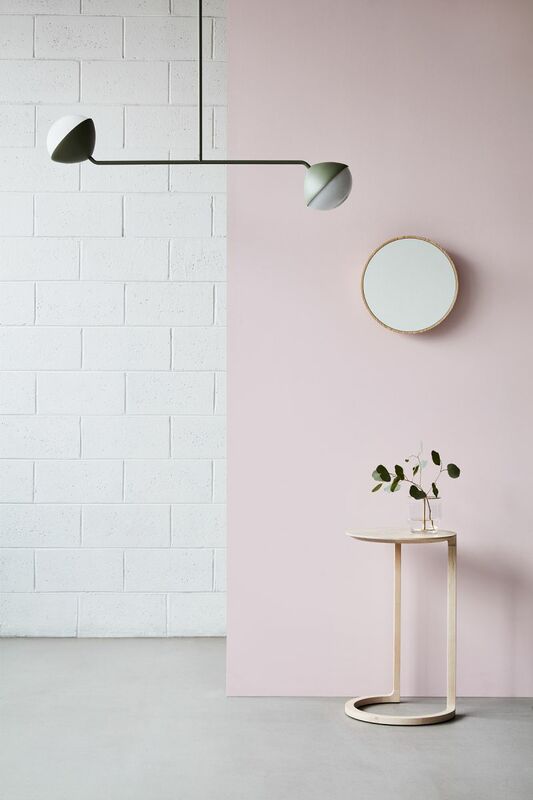 ADR caught up with Stokes at Denfair in Melbourne, where her Jolly lighting range was on display, to talk design inspiration, why females in the industry need to “step up” and how Australian design is being noticed on the global stage. You have quite a diverse background, how have the different stages of your career influenced the way that you design today? It’s been great to have a diverse career in that I studied industrial design and briefly before that architecture. I then went into product, preferring the scale of products as opposed to buildings and out of necessity had to take a few jobs that weren’t necessarily in furniture design but gave a really broad education on how business works. I worked at Little Creatures Brewery in a creative development role and that was really handy in that it gave me a great insight into how a creative business runs and the importance of branding and the relationship with the public. It was really great to work under some of the directors and also get an opportunity to work in interior design and website design. They gave me a lot of trust and so I just got to play, which was really fun. It also gave me the confidence to start my own business and take on a lot of different aspects: I’ve never really seen myself as a business person but having that experience made me realise that you just have to give it a go and attack all angles and wear different hats. Practically it’s just great to have the skills of graphic design and web knowledge because they are very handy to have. As a small business operator, it’s important to be able to be diverse and do whatever is required. The Jolly collection includes a single rod pendant, double rod pendant (pictured) and a compact wall light. What are your thoughts on female designers in Australia? 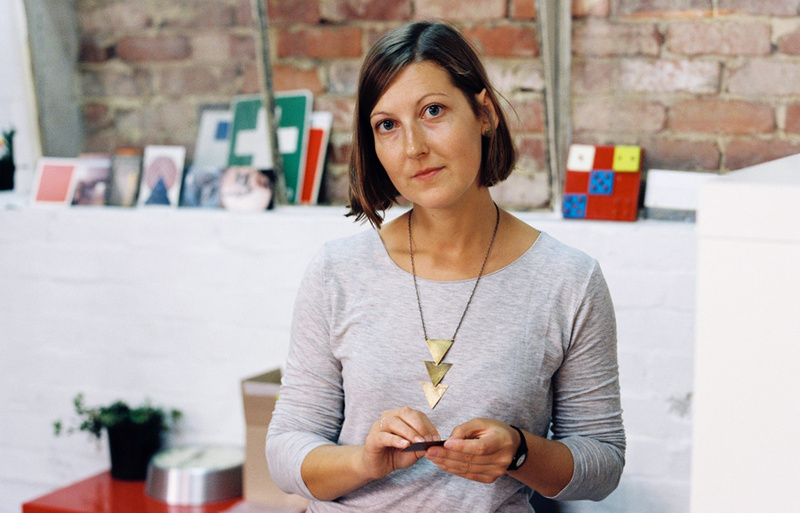 There is such great talent out there but it seems male designers hold more attention. There are some fantastic females around… I think it’s up to the females to push themselves a bit more and get the same media attention too. I think naturally industrial design attracts a higher percentage of males for some reason and interior design attracts more females. There is this strange divide but I think that females bring a different angle to furniture and lighting design; it’s nice to have a more feminine aesthetic sometimes. I think it’s up to females to step up and get involved, there are definitely no barriers, and we just need more of us. What are your thoughts on the Australian design landscape, do you think we are forging our own dialogue? Absolutely, over the last couple of years I feel genuinely excited about what’s happening here and seeing the response in New York [at the recent ICFF expo] to the Nau brand, it felt like it was a real stand out. People were generally excited about Australia, not just design but fashion, the café scene, there is an overwhelming feeling that Australia is doing it well and that was really nice to hear. We often think of ourselves as a bit of a forgotten country and a very small-time land, but it seems like there is a lot of respect for what Australian design is doing and a lot of knowledge of it too, I guess through platforms like Instagram. A lot of people were aware of Australian designers by name and definitely there was a feeling that we are doing really well and that there is a unique Australian language coming through the work: relaxed, contemporary, slightly European influenced but uniquely Australian, which is great to hear. What is your approach when choosing to work with companies like Cult? This is the first time we have worked with a brand and licensed a design to another company. Coco Flip historically has been the manufacturer and wholesaler ourselves, so it’s a new experience, but I guess I knew that it would be a good fit because we have worked with Cult since 2010 when I started the practice, so there is a long-standing relationship with Richard Munao [founder of Cult]. Having now seen the Nau collection come to fruition, it’s been impactful since launch. Cult has done everything properly, invested well in it and it’s a really solid story in that it’s all Australian design and it’s really exciting that someone is focussing on that. Initially, I approached Richard with the concept for Jolly more just to get some feedback and see if Cult would be interested in retailing the product through Coco Flip and he suggested coming on board the Nau collective instead. I jumped at the opportunity. It’s a great opportunity to diversify our business model and be part of a collective of fantastic Australian designers as well. It’s lovely to be the first female involved too and it just gives a lot more scope to our brand, there is a lot more opportunity for international distribution and exhibiting at ICFF in New York. What’s inspiring you at the moment? What’s coming out in your work? For me personally, I want to be working on much more sculptural forms, so I would like to push that a bit more and really find that line between art and functional and sculptural work. That’s my goal for this year: to develop a new collection that is more art focussed but also has a functionality to it. What’s driving that for you? I’ve had a desire to work on pieces that are purely aesthetic rather than also functional, but I do like the idea of maintaining that functionality as well and that’s really what I’m known for so I think it’s good to stay [in that field], particularly with lighting. Lighting is a great area because there is so much opportunity to play and it can be such a sculptural piece in a house. So, while it is a functional object, you can have a bit of fun with it as well. I’ve also always used materiality as a source of inspiration so that’s what I decide on at an early point and then just play with that and see how far you can take it while staying true to that material. I’m hoping to work with more ceramics and glass and more natural timbers and some cast metal as well.